Taking into account the means of projection and the surrounding architecture, the project had to be adapted to fit a public space. Mobile Institute and Jonathan Sullam took on the technical challenges as an experimental project. 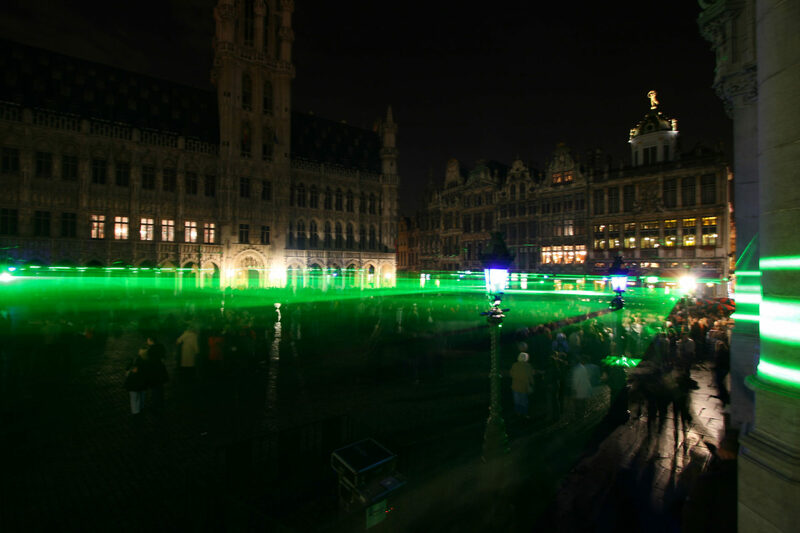 The Zero point one laser platform is a measure of space. 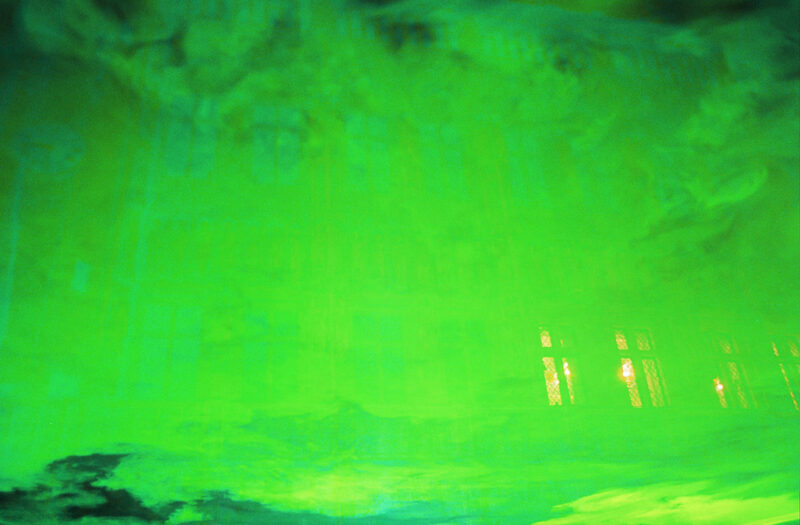 The public stands beneath a green cloud ceiling, questioning in turn the green space that surrounds every individual. 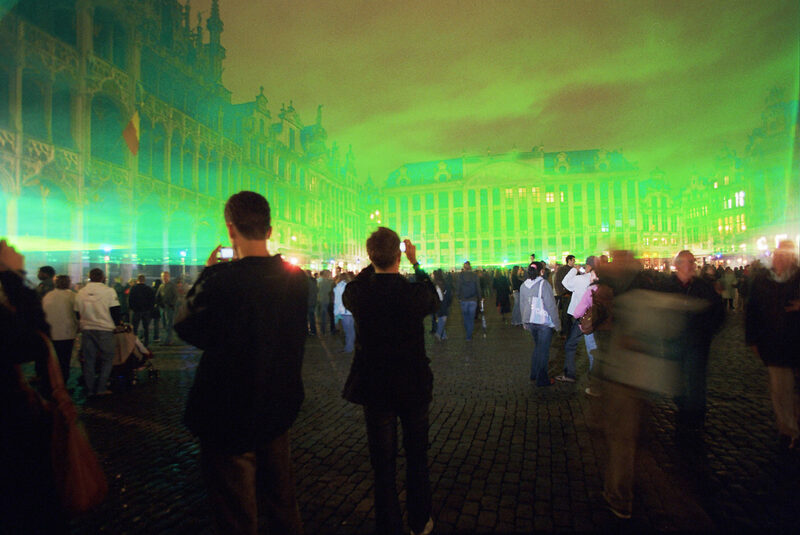 This installation was part of the Brussels White Night festival in 2007.